The road to the south of Broomy Pond is private and has recently had a gate placed at the entrance so, as with Slufters, park at Milkham Enclosure and walk in. 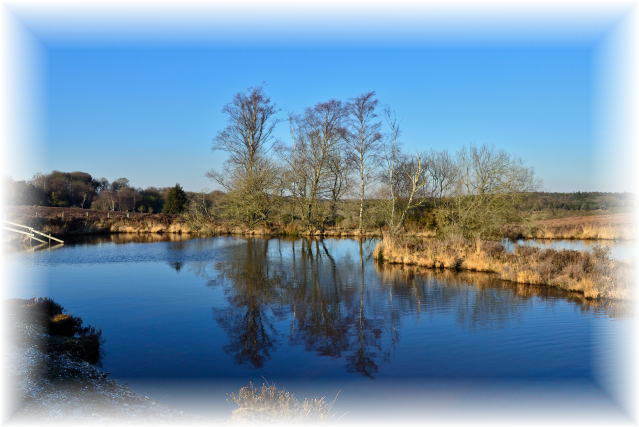 Restricted access means that this pond is mostly undisturbed, surrounded by gorse to the south and reeds to the north. The reeded area is fenced off to protect the habitat and this is where the majority of emergence takes place. Once emerged the tenerals can be observed outside of this fence among the heather. Good for Downy Emeralds and Emerald Damselflies among other species. Be sure to explore gorse area fully as this is a prime hunting spot.